The pub’s flower-adorned exterior immediately identifies this place as rather cosy and old-fashioned. While the frugal or impoverished may prefer the cheaper (and much poorer) beer on offer in the nearby Chandos, the Harp seems much prettier from the outside, at least to our eyes. Of course we’re almost certainly biased, because we know the riches that lie within. Despite the diminutive frontage, the premises extend far enough back from the street to accommodate a reasonable crowd. 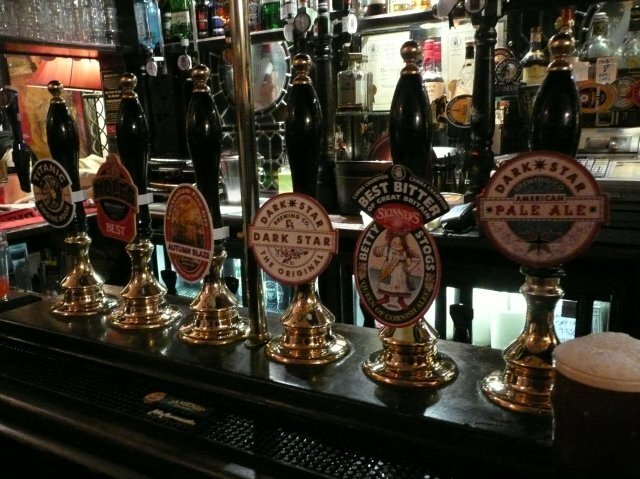 This is fortunate, as the pub can get quite busy at times – seats (or stools) are at a premium even on a Monday evening. A small room upstairs and a passage out the back offer further harbour. 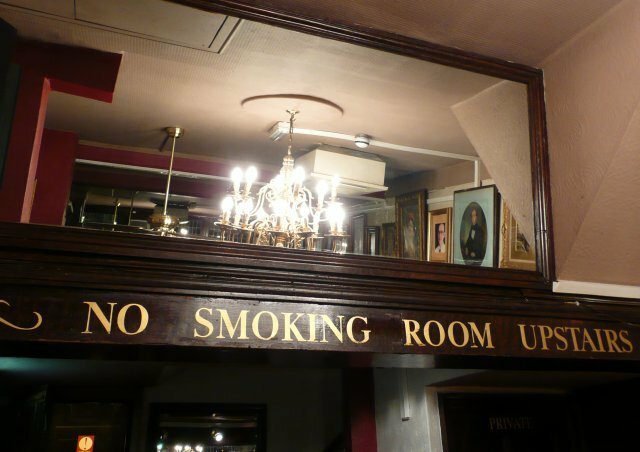 This place was way ahead of the smoking ban. The atmosphere is unpretentious, in keeping with the traditional décor – wooden fittings, old portraits on the walls, stained glass windows that can open fully when the weather permits and a sign declaring 'football-free zone' on the back door. One glance at the hand pumps at the bar and you immediately know this place means business, with at least a half dozen real ales available. 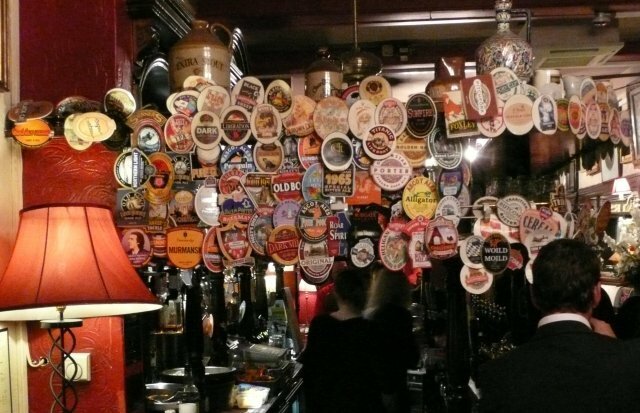 Although this place is now owned by Fuller's (since 2014), it continues to offer a broad selection, though perhaps not as wide as was once the case. We noted the availability of sausages, cooked to sizzling-point on a hotplate behind the bar and served in a baguette, although it looks like their availability at any given time is heavily dependent on the laws of supply and demand. Saltier, lardier, pre-packaged pork products are also available, as you would expect. All-in-all, the biggest problem we could find with the Harp was that the beer was just too good. Once we had worked our way through all of them, we were sorely tempted to start again at the beginning. This can be a difficult pub to leave.